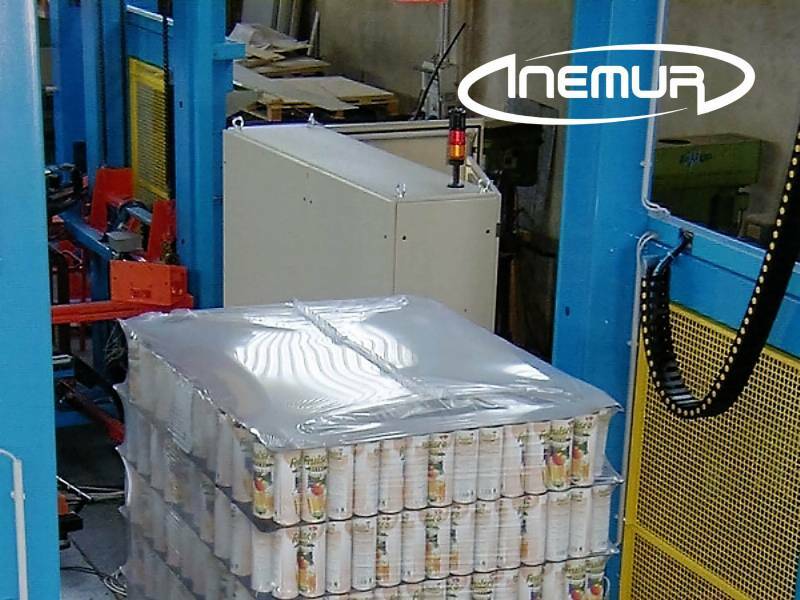 INEMUR has the most efficient equipment in the market for wrapping pallets and protection through sheathed, cold- stretchable plastic. 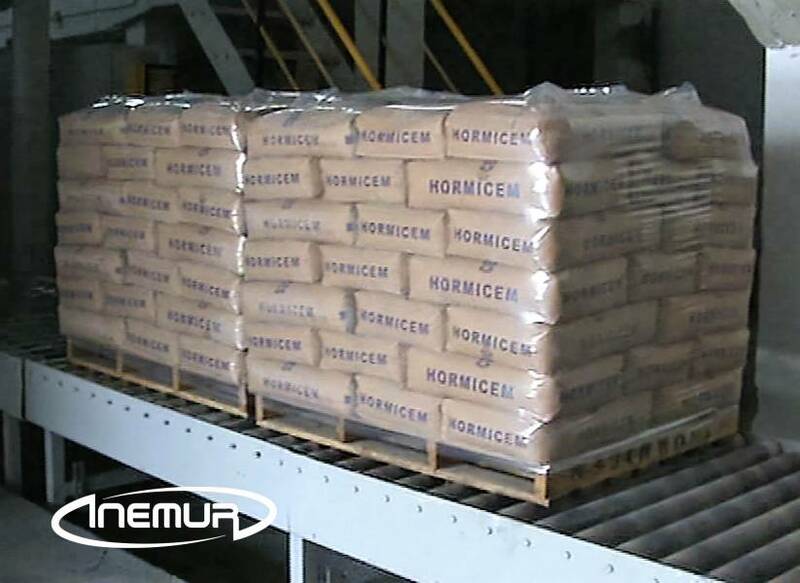 This system for plasticising pallets is the most effective in the market for the protection from atmospheric agents, as the plastic completely encases the pallet to create an impenetrable cover, prohibiting points where water or dust could filter or accumulate. 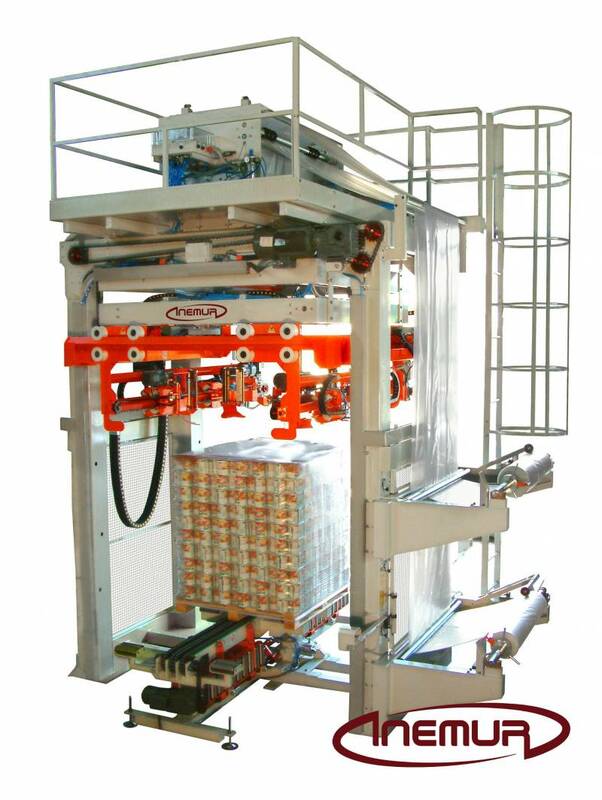 Using the same computer with different pallet sizes and heights, it is also possible to incorporate even 6 reels with the same or different measures. 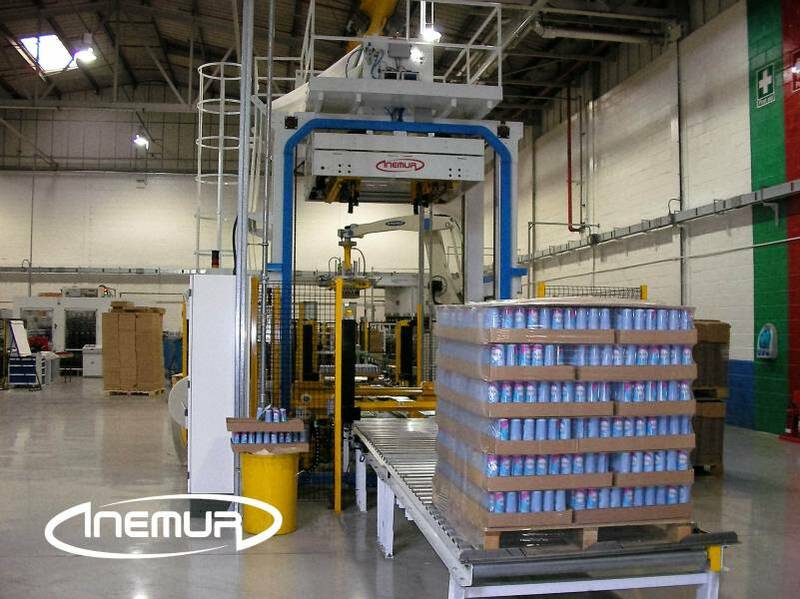 The sleeving cold pallet can work with any type of palletised products by not applying in it any flame or hot air and we have a wide range of equipment to cover any production need. 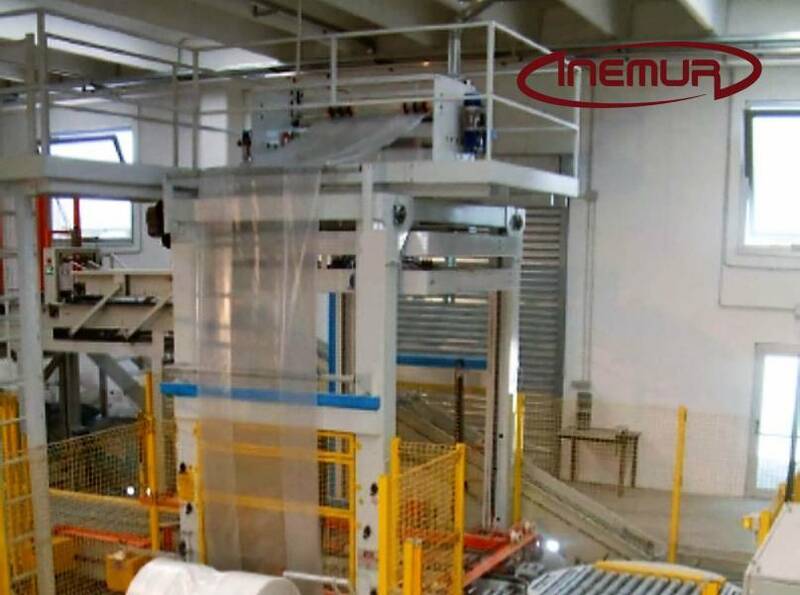 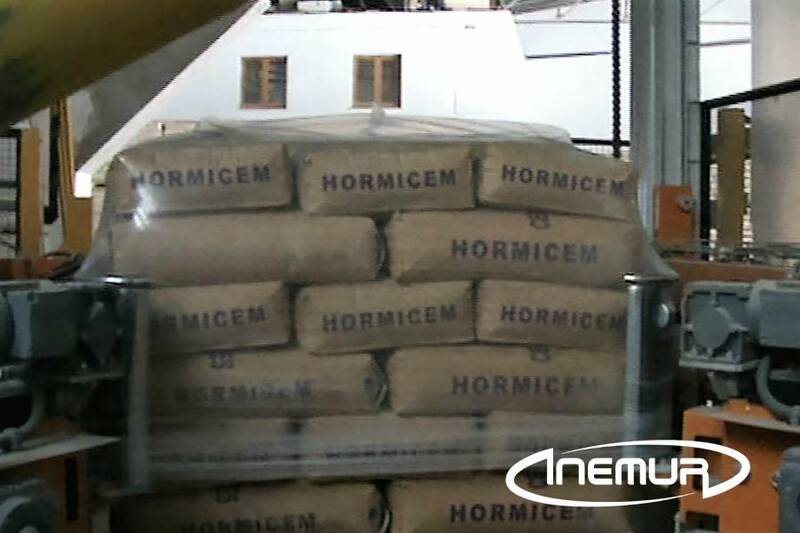 INEMUR is a strong advocate of the application of this technology for the conditioning of packaging pallets for its effectiveness, insulation, plastic economy, aesthetics and the ease of opening pallets.